The Display Case A place to post your latest knives and creations. Let the Knife Network community see your work first! I made my first knife that leaves the household. Its not my first sale yet, but only a gift. Still it a nice feeling giving something away that you are proud of. Brownheart wood with a burned surface and CA glue finish. Beautiful piece! 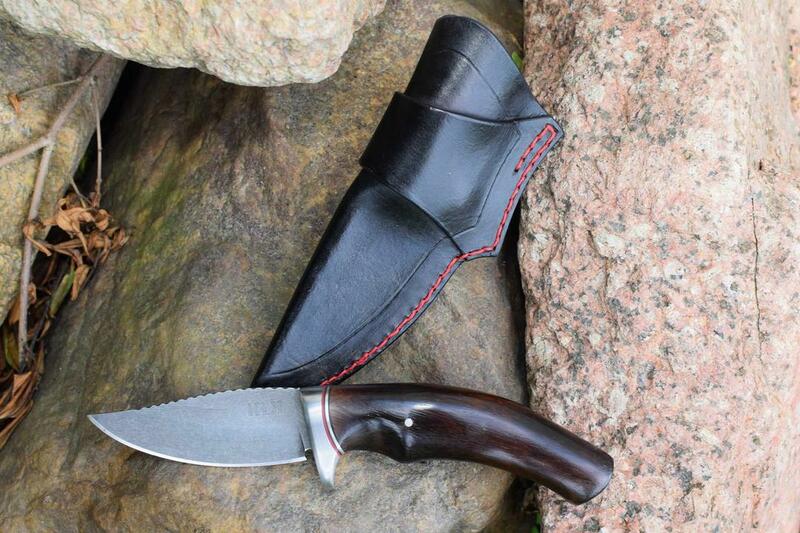 I like the red stitching as an accent to the sheath color. Nicely crafted, definitely a piece to be proud of. Any of these creations are beauties we have devoted time and love in continuing the craft. That is a success! 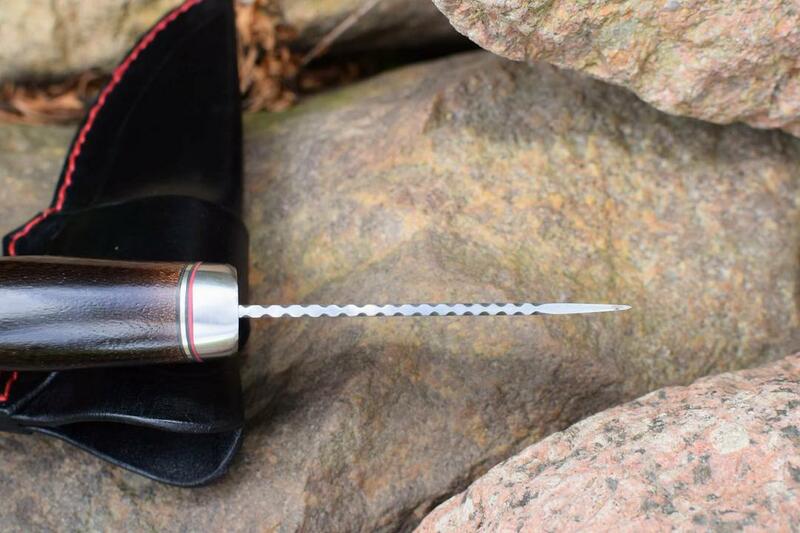 That is a spectacular knife. I know if I'd received it, it would have displaced knives I've made as my EDC for quite a while. Possibly even replacing the kiridashi I am making from the first billet of damascus I ever made which will be my EDC for a long time once it's finished. 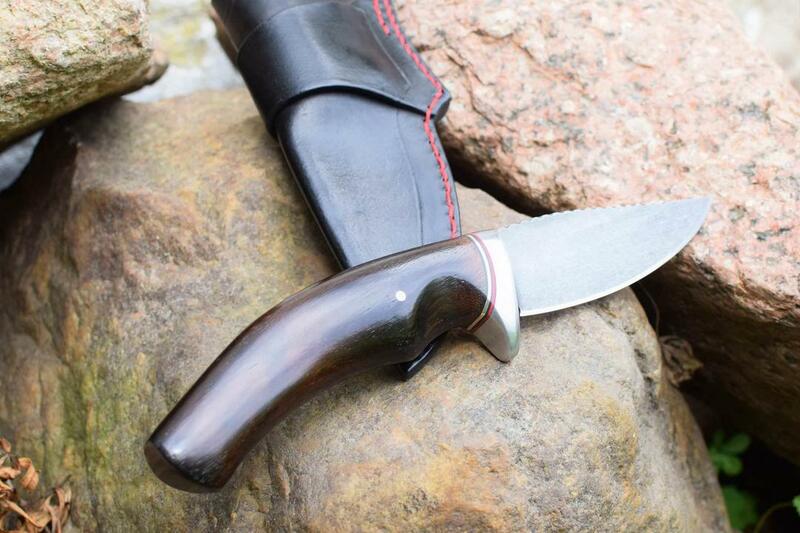 Very nice knife and sheath Rasmus, you are getting better with every knife you make. I use nickel silver too so don't worry about using it as a spacer, it looks good. About the only thing I could criticize is the stitching is a little uneven towards the bottom, lol.